We look after the WHOLE deaf person. To promote the spiritual, social and general well-being of people who are deaf and hard of hearing in the diocese of Oxford (Oxfordshire, Buckinghamshire, Berkshire). Advise local churches on the needs of complying with the Disability Discrimination Act with regards to hearing loss. This includes giving a small grant towards a loop system in some churches. 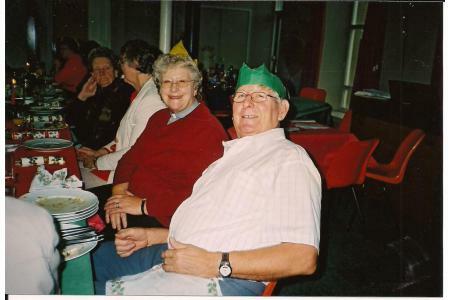 Run a Volunteer Befriending scheme where people visit isolated deaf people in their homes or go on outings together. Promotes pastoral support. Holding regular church services at 8 different venues which are accessible for people with hearing loss Raising Deaf Awareness. We have a team of 3 chaplains. Reduces any sense of isolation that deaf or hard of hearing people may face. Allows deaf and hard of hearing people to access worship. One in Seven of the population has a hearing loss so a huge number of people can benefit from your donations. ODCD runs a Volunteer Befriending Scheme. Some deaf people are isolated because of their hearing loss - some because not many people can communicate with them in sign language. Some elderly people who gradually lose their hearing become more withdrawn and find it too difficult to go out and socialise. Volunteer visitors are needed in Oxon, Bucks and Berks. All prospective new volunteers are given training and have to undergo a CRB check. Please contact us if you would like more information. Can go towards fees for interpreters for many situations like funerals, weddings, etc.